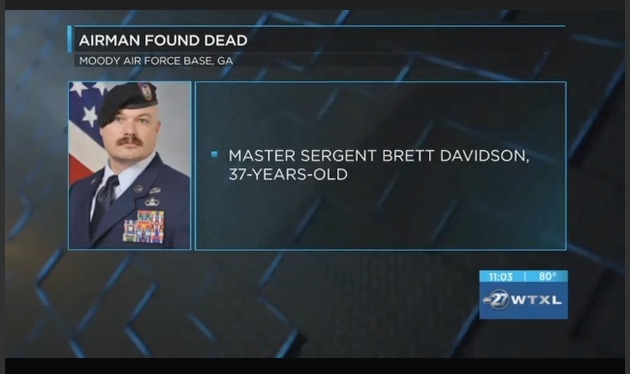 MOODY AIR FORCE BASE, Ga. (WTXL) - An airman part of a unit connected to Moody Air Force Base was found dead in Missouri on Saturday. Master Sergeant Brett Davidson, 37, was found in the water and pronounced dead at about 11:30 a.m. in Rocky Mount, Missouri on Saturday. He was assigned to the 19th Air Support Operations Squadron at Fort Campbell, Kentucky.